Welcome to the Madison Guest House. Welcome home. Our modern, spacious accommodations include hardwood floors, central air, cable, wifi and all the comforts of home. The completely furnished Guest House offers a variety of accommodations and can sleep up to 17. Suites at the Madison Guest House include multiple baths, full kitchens, dining and living areas, as well as private porches with BBQ grills. All are yours to enjoy in complete privacy. Guests are offered a continental breakfast with specialty breads and muffins or bagels and fruit, juice, coffee and tea. Bottled homebrewed beer from the owner's kettle is available upon request! 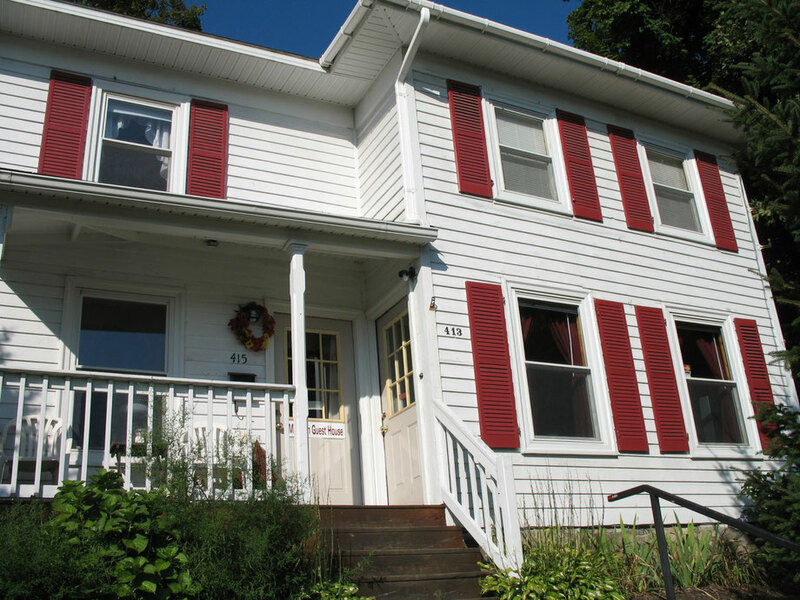 Enjoy the beautiful Finger Lakes by day - wineries, Seneca Lake, gorge trail hikes, Watkins Glen International - and come home to relax at the Madison Guest House. We take pride in our property and are responsive to any of our renters' needs as we try to accommodate the space and privacy our clients seek on getaways. Since we are local, we deal with our guests directly – from key exchanges, to cleaning, to repairs, and anything in between. All of our properties are fully furnished and have all the amenities of home. Stay awhile, won't you?